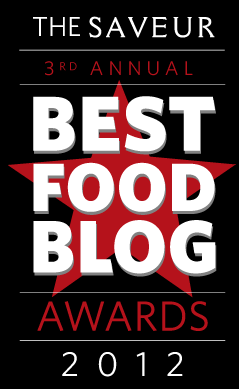 Every year Saveur Magazine conducts a search for the best food blogs. Some of the categories include Best Food Photography, Best Food Humor Blog, Best Special Diets Blog, and of course... Best Cocktail Blog. We want it! So hop on over to the website and nominate us please. It literally takes 9 seconds. And if we win you're invited to the epic, celebratory cocktail extravaganza. Promise. Why nominate us? These are the cocktail categories we cover... new drink creations, hot picks for wine and spirit accessories, bar and restaurant reviews, bar and restaurant etiquette, non-fiction bar stories, crafty cocktailista nonsense, product and beverage reviews, and oh so much more. Nominate now!